Looking for lots of TVs, a cold brew, and maybe an athlete or two who stops by after the game? Here are some of the best sports bars in Scottsdale where you can do just that. From the website: "...a great place to watch sports thanks to the dozens of HD TVs sprinkled throughout this stylish indoor-outdoor space....Bottled Blonde will host Ohio State football watching parties every Saturday when the team plays! " 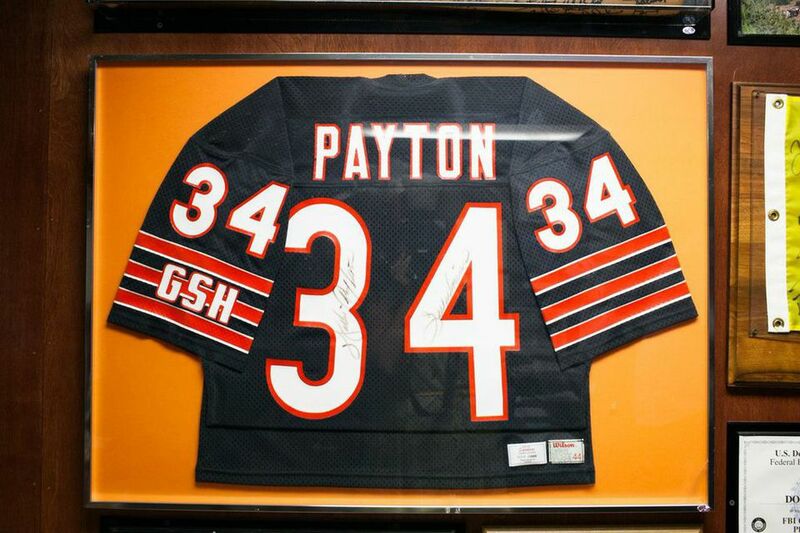 From the website: "Don & Charlie's houses a veritable museum of sports memorabilia, thought to be one of the largest collections west of the Mississippi." From the website: "Duke’s has been Scottsdale’s neighborhood hangout for 13 years. Our customers even voted us “Number 1 Bar in Scottsdale.” We have a huge menu with something for every taste and a ton of amenities [including] 46 TVs showing nearly every major football, basketball, hockey, and NCAA game...."
From the website: "We provide you with all major sports packages shown on our five 10 foot big screen tvs! What's your game?" From the website: "The best place in the Valley to enjoy all of your favorite sporting events. With 23 flat screen, high definition TVs throughout the restaurant, you are sure to have the best seat in the house. We offer "speaker boxes" so that guests can hear their own game at the table. " Located in North Central Scottsdale. Wings, burgers, daily specials, sports. Locations in North Scottsdale and Central Scottsdale. From the website: "The Yard House plays classic rock and roll on its state of the art sound system while an abundance of flat screens showcase the day's sports and special events." From the website: "Zipps Kierland offers up billiards, Golden Tee and Shuffleboard for the bar-athletes and a digital jukebox for music lovers. Zipps provides a large dining area with a wall of 60 inch H. D. DLP's and will always be showing the big game."